Death, suffering, pain, and anguish, whether caused by other humans or by nature are realities with which we must live as humans. Approximately two years ago the big catastrophic event was the Japan tsunami and earthquake that claimed the lives of over 28,000 people. 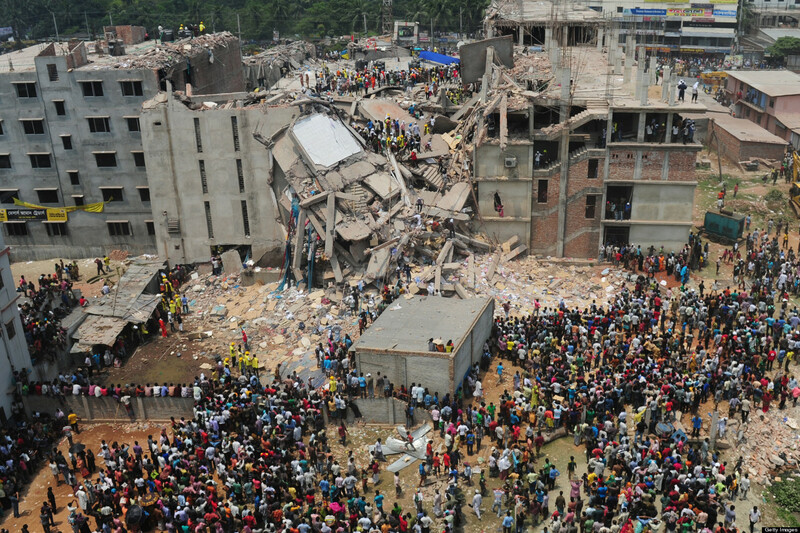 About two weeks ago we heard of the deaths of over a thousand garment workers from a building collapse in Dhaka, Bangladesh. When such tragedies occur, one or more individuals have to live with the loss. In fact whether 28,000 die or 1 die, one or more individuals have to deal with the loss. In the case of the Bangladesh tragedy the cause was not natural but human. A string of individuals and groups have to share responsibility for the disaster. Fault the building owner for a building that broke every construction violation in the books. Fault the Bangladesh government for not putting in place regulations that would ensure good working conditions for the poorly paid garment workers, most of whom are women. Fault the factory owners for providing poor pay and less than appropriate working conditions. Fault the retailers in the West for seeking to maximize profits at the lowest costs and with the cheapest of labor. Fault the various global clothing brands for authorizing work at the factories that were destroyed (and also for attempting to distance themselves from the disaster). And lastly, we the consumers who buy the clothing ought to share some of the blame also for our desire for cheap products. Cheap products mean cheap labor. Cheap labor means poor pay and inadequate working conditions in underdeveloped countries. Poor working conditions pose the potential for the kind of disaster such as occurred in Bangladesh. Please "Like" my Facebook Page. Thank you. Copyright © 2012-2016 Ric Couchman. Simple theme. Powered by Blogger.